My road trip is not road trip in the general sense of road trips. 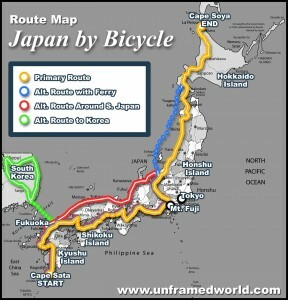 That is because the road trip I would like to take isn’t by car, but by bike. 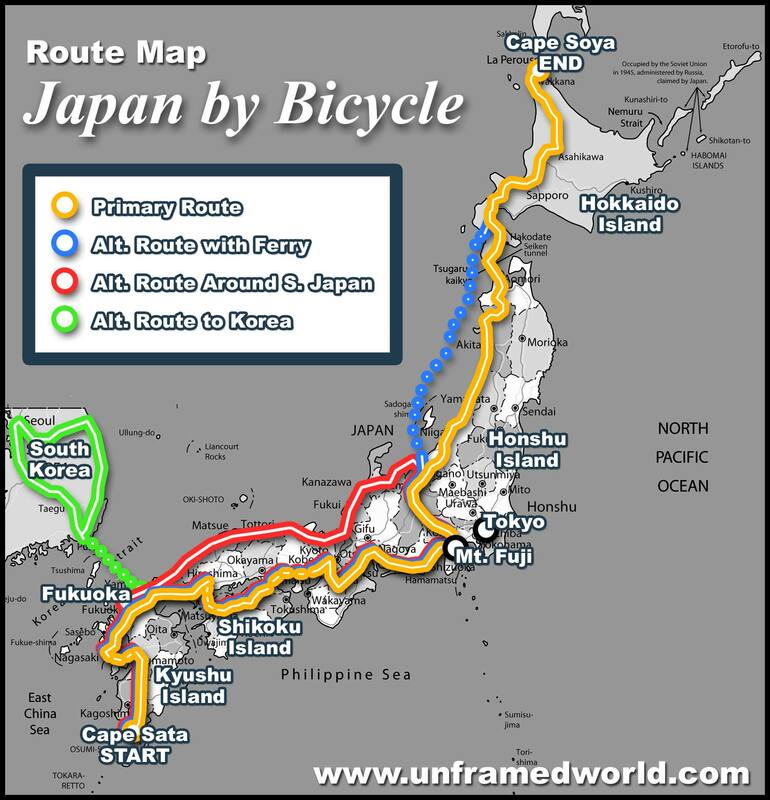 I fell onto a blog that some guys were writing where they planned to bike the length of Japan. It seems like such an interesting and unique experience. Japan, being an island nation, is home to such beautiful scenery and to be able to experience that for such an extended period of time would be incredible. Not to mention the people you would meet along the way. This would not be a solitary experience. The different people you can meet while telling them of your crazy adventure would be equally as fun. I love hearing people’s stories. I try in my everyday life to get people to open up and talk about themselves. We live on a planet with 6 billion unique people with 6 billion unique stories and I want to hear them all. Since these guys already did the work here is the map they used. I have such an incredible desire to do this that it is just a matter of time before it gets done. Stay tuned for when I make the trek! Previous PostPrevious Topic 9: Joe Flores, Best Friend.